Today, I’m hosting Chelsea Geyer, Nyack and Woman Rite of Passage alumna, passionate nonprofit founder, and all-around interesting person. Not too long ago I was sitting with some of my closest friends eating dinner and drinking good beer – we were in Colorado, after all. At the table, two of us were single, the other four married, and one of the married women has a child. I don’t remember how, but they got me talking about how there are times when as a single, childless woman in my late twenties I hear things or feel treated in ways that seem to demean my accomplishments because they aren’t traditional ones. I shared about how it can feel isolating when people are only interested in my dating life, when the real things I’m facing are related to the start-up non-profit I’m running and the challenges that come with leading an organization. At moments, I’ve felt unheard by some of the people closest to me because pieces of my life don’t fit into the traditional boxes they expect. And I shared about how these feelings mostly come when I’m interacting within the church community and my Christian family. This is not a new thing or a new conversation. Single women have heard what I hear and worse since, well, forever. What made the night more memorable was when one of my friends shared their experience. This friend got married in her early twenties and is a stay-at-home mom raising her very adorable son and hoping to grow her family. My friend started to share how draining it is to her when people say, “Oh, you just stay at home?” She shared how she felt hurt when her choice to be a stay-at-home mom seemed to define her as less accomplished or less important. Our different experiences don’t negate the other’s, rather they show something that we – and I think many women – still have in common: feeling the need to fit into a box. And regardless of what that box is, women are too-often judged not for what they have, but for what the culture around us thinks we don’t have. As a millennial, I’ve watched other generations of women forge the ring-less, kid-less path, both in and out of the church. Especially as a millennial in a career-focused city, I’m not in any minority. I’ve heard women from generations ahead of me share about their experiences navigating the church world as a single woman, someone who got married later, or as someone who chose not to have children. I have read many books and have heard many thought leaders empower the freedom I feel to be single and honestly live the life I feel God has called me to. So, I wonder if my friend is experiencing a certain amount of cultural whiplash. I wonder if in our fight to break boxes for Christian women, we created a new box. I wonder if the disapproval or the simplification she feels at her choice to be in the home, to be more domestic, is a result of years of making domestic life a scarecrow argument that could only ever possibly mean a woman was being forced to not pursue her dreams. And that’s definitely not the case. While on paper my life and my friend’s life are pretty different, I think the judgments and feelings we’re experiencing stem from the same thread. When I feel lesser for my lack of a husband and children, and when she feels lesser for her choice to be home and not pursue a career, we are both being valued for what we don’t have. Our worth is still being measured based on our relationship to what the culture of that context prioritizes. I feel the brunt of the Christian community’s cultural priority of family over singleness, and perhaps she is being measured against the more modern prioritization of a career. When I look through the Bible, I see the emphasis God places on family, and the beautiful opportunity given to parents to raise children. My job is literally to uphold and build families in Washington, DC. I also see the way the Bible uplifts singleness and the freedom in ministry it can allow. I see the way Jesus modeled life as a single man in his 30s. We’ve got to resist the urge to assume that any one way of life inherently models the way God is calling women to live. To me, the whole point of recognizing a woman’s equality in marriage and the church is to give women the freedom and mobility to individually live out their God-given callings without ceilings or barriers and sometimes despite their gender. Whether that means serving Christ through leading a ministry or through building a home where little ones learn to follow God, the point is not to fill some cultural expectation box, but to be supporting one another, and giving each other the base we need to serve God wherever we find ourselves. 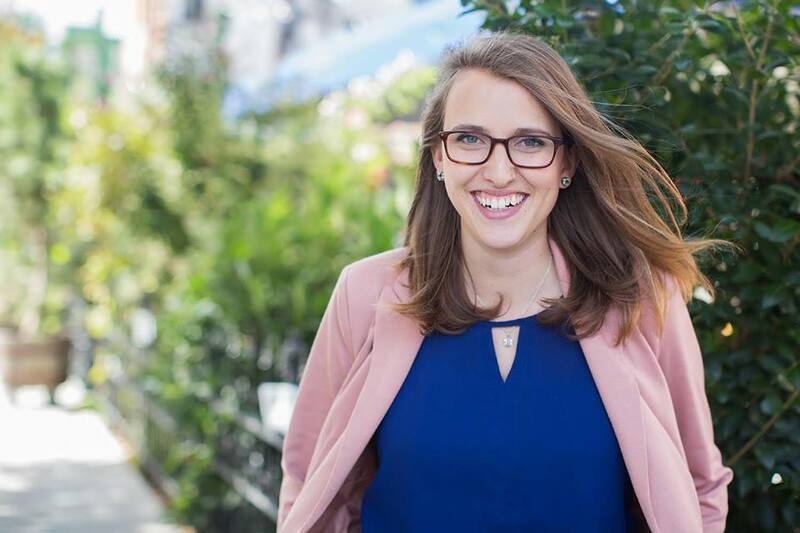 Chelsea Geyer is a co-founder and the Executive Director of DC127, an organization in Washington, DC mobilizing churches to reverse the foster care wait list. She cares deeply about building partnerships between churches and local organizations in order to address social issues. She graduated from Nyack College in 2012, and is originally from Aurora, Colorado. Chelsea spends her free time getting to the mountains, cooking dinner for friends, and losing in her Survivor fantasy draft. You can connect with Chelsea at @chelseasupafly and learn more about DC127 at www.dc127.org. Nature not just because we refer to her as a woman tells us men who will listen and society as a whole the truth. BioMimickry suggests “just look at nature and know the truth”. Nothing God created was in a box. Everything that God created is basically “round” yet we do no come around. Men and nations, every tribe let’s get it….”Round is in Boxes are out”.